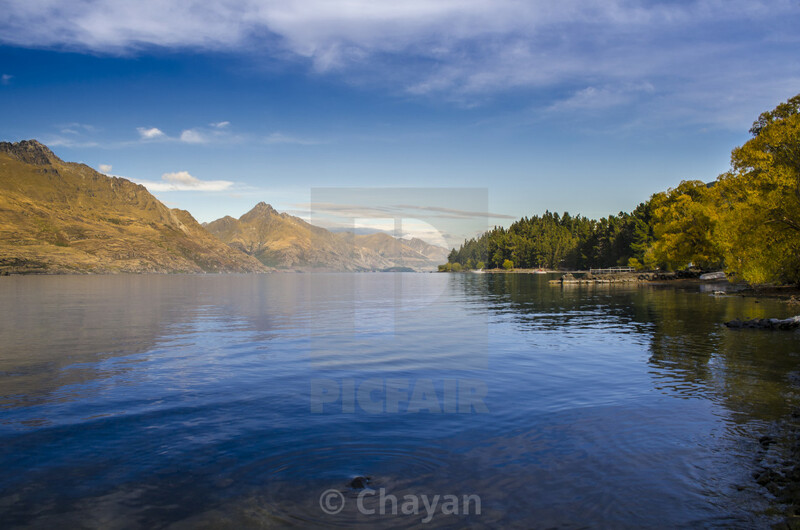 Lake Wakatipu is an inland lake (finger lake) in the South Island of New Zealand. It is in the southwest corner of the Otago Region, near its boundary with Southland. This image was captured on an autumn morning when the light was fantastic and water was still.